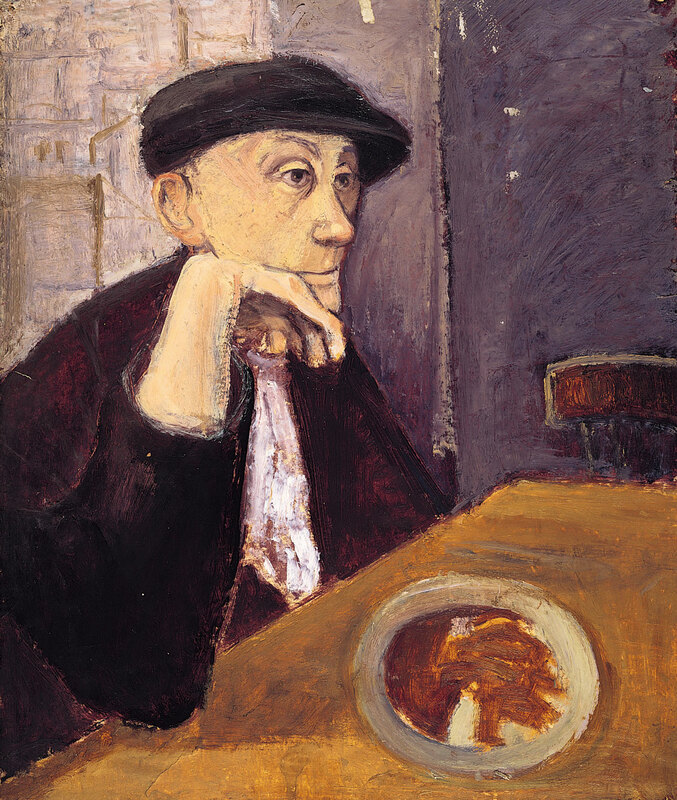 description A head-and-shoulders portrait of a docker on his break, seen in three quarter face view with head turned to the right, dressed in dark cap and jacket. 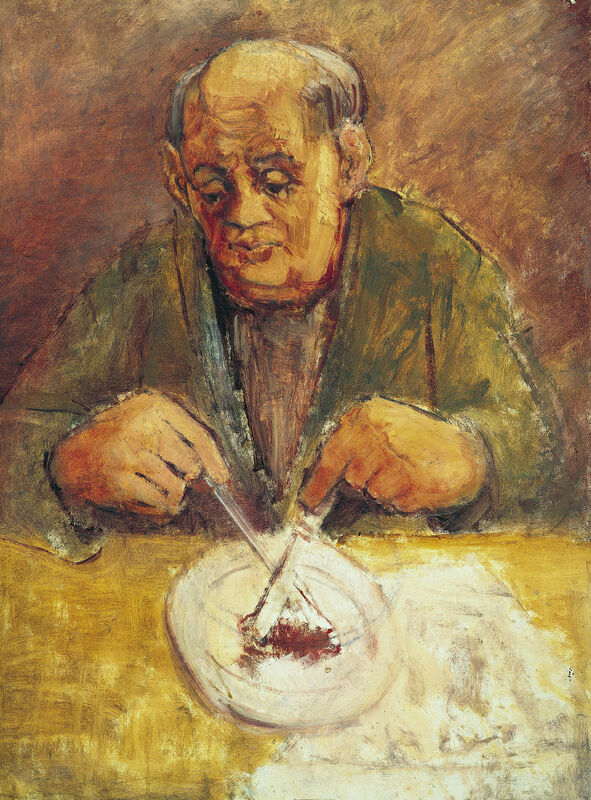 He is seated at a sparse dinner table, his right elbow upon it, resting his face on his hand; despite the white napkin tucked into his shirt front, he neglects the plate of food in front of him. This is one of a number of portraits of East End workers on their tea or dinner breaks and as in 'Workers Dinner Break', the meagre meal suggests the frugality of the sitter's life. Technically, however, the paint is far more thickly applied and the composition more complex with the foreshortened table viewed diagonally from the side and a more finished background including one of the tiled walls of the cafe shown behind. 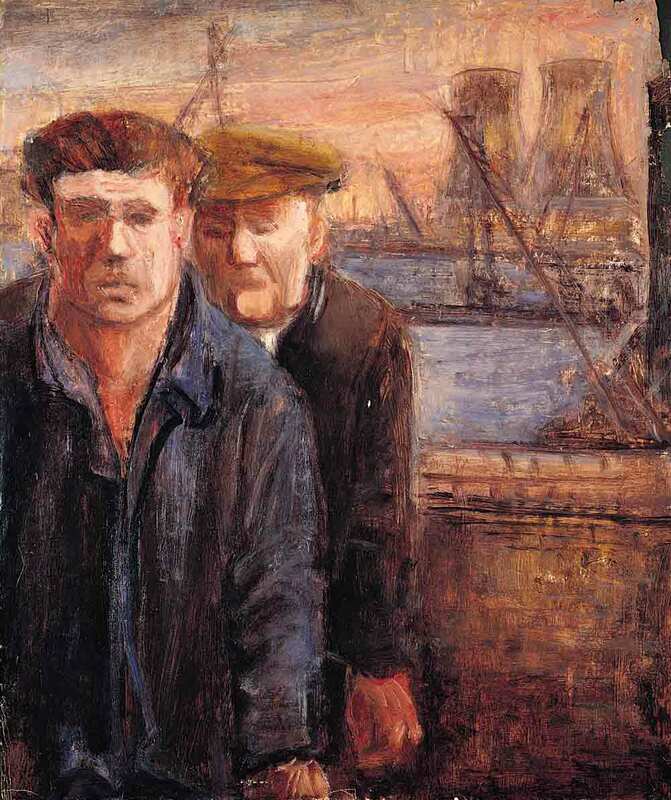 Other studies of dockers show workers similarly dressed in the ubiquitous brown caps and overcoats common in the postwar period. exhibition history 'Eva Frankfurther 1930-1959: Memorial Exhibition', Boundary Gallery, London, 15 June-18 July 2001, (3), NFS. 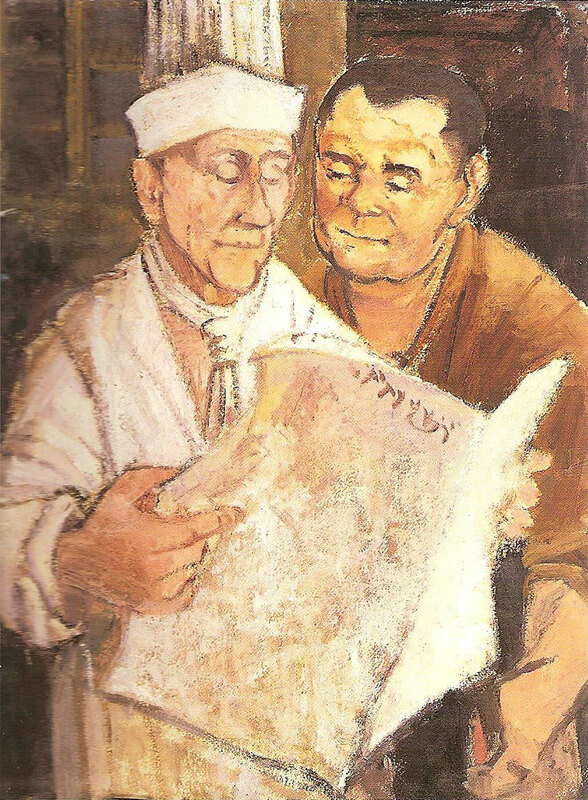 literature ed., B. Planskoy, 'Eva Frankfurther 1930-1959: Painting, lithographs and drawings' (London: Peter Halban, 2001), illus., p. 56.